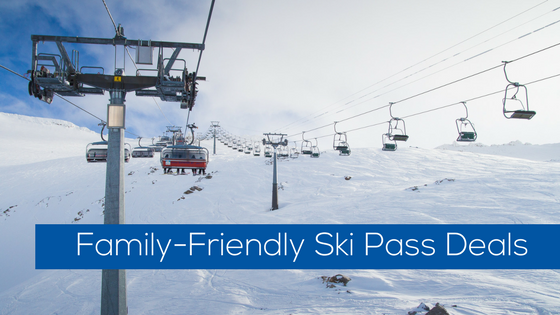 Skiing can be expensive, so if you are a family that likes to ski, it’s best to get a season pass. Here is what you should know about current pass promotions for families with kids and teens. I’m posting now even though Vail Resorts’ Epic Pass has not posted their 2018/19 season pass details because there are some time sensitive season pass decisions to be made. Here’s what we know about family-friendly promotions for the new IKON Pass and the Mountain Collective. IKON Pass. The new IKON offers different levels of passes just like the Epic, but does it a little differently. They offer unlimited access to Winter Park, Copper Mountain, Steamboat, Eldora, Mammoth, Squaw Valley, and a few more. with then limited access to mountains like Aspen, Snowmass, Jackson Hole, Big Sky, and more. They offer 26 ski destinations in North America. The passes for kids or teens fully match up with the adult pass products. Kids 12 & under: $149 for Ikon Base Pass & $199 for Ikon Pass. The kids pass price is good through April 9, 2018. Kids 12 & under: Get a kid’s pass for $1 with the purchase of an adult pass and $99 for additional kid passes. Teens/College: No Discount – real bummer! Get the details @ Mountain Collective. Epic Pass. No news yet from Vail Resorts on their 2018/19 season pass products. I’m wondering what to expect from Vail – I assume we will see the FREE Epic School Kids back which offers 16 days of skiing between Vail, Beaver Creek, Breckenridge and Keystone, for kids K-5th grade. 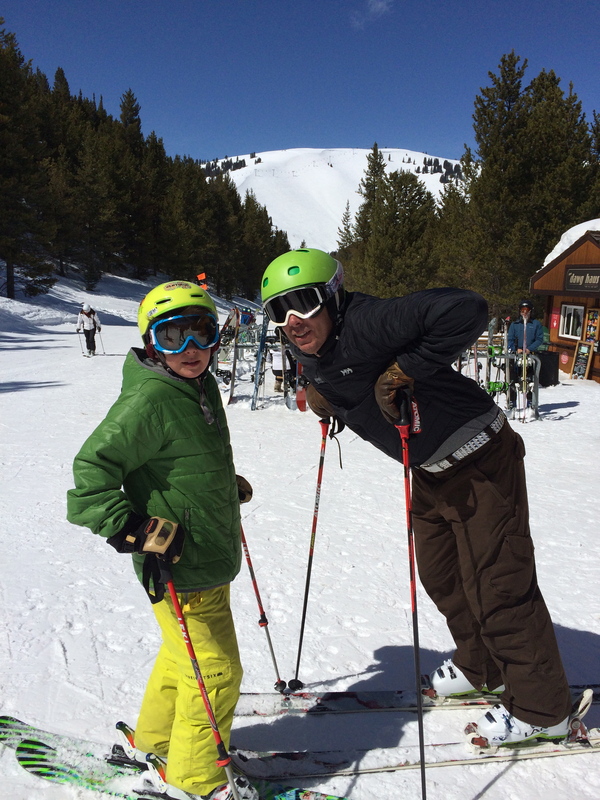 The question is will Vail Resorts jump in with more discounted kids and teen passes? 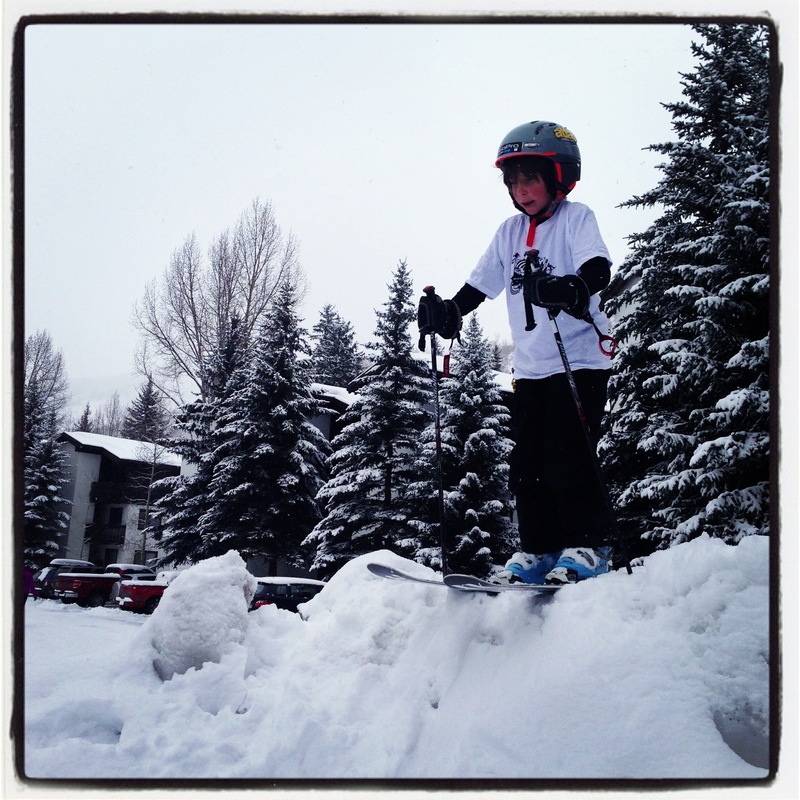 If they want to get more ski families in the Front Range and beyond, I sure hope so. I’m crossing my fingers! I’m excited. A quick check in this morning for tickets to Seattle found this: $45 or 2,055 points each way Denver [DEN] to Seattle [SEA]. That’s $90 round trip. This is cheap travel, but in my experience flying Southwest doesn’t feel like a discount airlines. You can pay for Early Bird check in [$15] and they don’t charge for up to 2 bags. We are considering this option for taking a ski trip to Whistler/Blackcomb with the family. To find cheap fares on Southwest I pick my city pair. Then I pick random dates to get into the search engine. Then pick points or dollars [these are very interchangeable, so just pick one and then you can see the other one later]. Click on the dates you want to travel. One thing about Southwest is that their flights will not turn up on other search engines [e.g., Google Flights or ITA Matrix]. You have to go directly to Southwest.com. It’s super easy. This was a great find! I can take my family of 4 round trip to Seattle for 16,440 points. Unreal. So I poked around just a little and found that I can also take my family to San Diego for the same amount of points. Thank you, Southwest Airlines! Wondering how to get Southwest points, I suggest signing up for the Southwest Airlines credit card and getting 40,000 points. Then you can take your whole family to Seattle and San Diego in the future and have a few points left over. Why Southwest Airlines Rocks It For Traveling Families! Traveling with a family can be tricky. It can be expensive. Things come up. It’s tough to get everyone’s calendars synced. Needs change. Southwest Airlines to the rescue. The fact that Southwest in budget conscious and very flexible make me loyal to this brand. Southwest Airlines really rocks it for families! Change Your Flights Without Fees. Unlike any other domestic airline, you can book flights [paid or points] and then make a change to them up to 10 minutes prior to boarding for FREE. This is golden for my family! I often book flights on Southwest with the idea that we MIGHT go. Sometimes I am just dreaming. Sometimes I need to figure out if this trip works with everyone’s schedules. I book the flights and then figure things out. I can take more than 24 hours that other airlines let me have to get things figured out or wait to see if the other pieces of the trip will come together. For example, we have tickets booked to go from Denver To Salt Lake City this winter because we want to ski at Park City Ski Area. I’m still not sure how the snow will be in Utah, so I’ll sit on these tickets until we have a clearer idea of snow fall, without worrying about change fees. Flexibility is key for my family! Free Checked Bags. You get 2 free checked bags which saves you a bunch over other airlines unless you have elite status or have their credit card. This is self explanatory, but if I was flying on United or other major airline carriers, I would pay a fee per bag if I did not have elite status or their branded credit card. This could cost my family hundreds. I hate to pay extra fees! Early Bird Check In. You don’t get a seat when you book a flight on Southwest, but you can pay $15 to get their Early Bird Check-In. Since you don’t have assigned seats you can just have one parent go on board early [just pay $15 once] and save seats for the whole family. Everyone does it, so it’s not strange. If cost isn’t an issue then just get everyone in your travel party Early Bird Check-in when you purchase tickets. If you want to save some $ then just divide up your reservation and make sure one parent is going on early to save seats for the entire family. Excellent Value/Use of Points. If you plan ahead, and sometimes last minute, Southwest offers really low cost travel options – which is great for my family of 4! Southwest is a great option any time you are traveling last minute as they are definitely worth checking and at times offer an excellent value. Southwest points are usually a better deal than most other airlines. For example, I wanted to fly from LA to Denver this month [November] and there are plenty of $44 [2002 points] or $79 [4045 points] one way. On United would cost me much more if I purchase a revenue ticket or between 12,000 and 25,000 points one way. Easily Transfer Ultimate Rewards Points to Southwest Points. If you have a credit card that earns Ultimate Rewards points you can easily transfer then 1 to 1 and fill up your Southwest points account when you need them most. More details on how to get and use Ultimate Rewards Points. The points transfer instantly to they are in your account when you need them! Southwest really works for our family. The things I love the most are their flexibility and low cost/low points. I regularly transfer Ultimate Rewards points into my Southwest account to book flights. I love that I can leave the points in my rewards card until I need them – just in case I need them for some other reason. Southwest just makes my life so simple and helps our family to travel more! 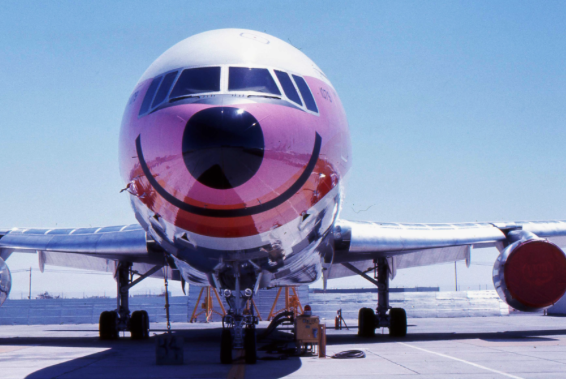 How about the rest of you traveling families – what is your favorite airlines and why? You Can Still “Google It” When Traveling Out Of The Country: Otherwise I’d be lost half the time! It’s hard to imagine life before Google Maps. Wondering how long it will take between one location and the other? Google it. Wondering how bad the traffic is? Google it. But what about when we are traveling and have limited data plans? Can you use Google then? Yes! 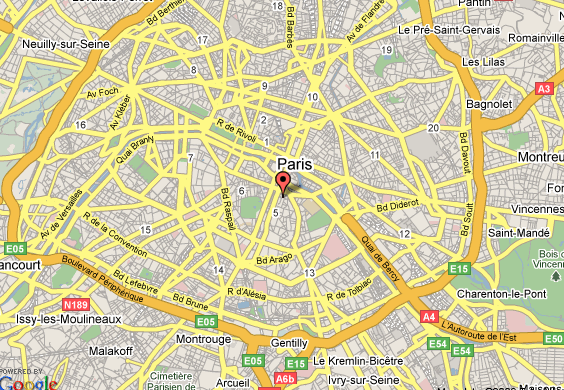 The great news is Google Maps can be used by turning on your data plan briefly. Googling your location and where you wish to go. Once Google has located you and your desired location then you can turn off data. Yup, just turn it off. Your phone has a GPS built in and even with data turned off you can still use the Google Map function to find your way around. It is like magic! This past summer we were in Paris. I don’t know my way around Paris. I also don’t really like to be pulling out my map a lot and looking like a silly tourist. Though map reading is an important skill that I like to teach my kids, when I’m in a big city on foot I really like to know where I am. Even with a very limited data plan on my iPhone I used it to navigate by foot all around the city using the Google Map strategy outlined above. I felt so much more comfortable knowing I had Google Maps when I needed to cheat and take a look at where I was or where I was heading. On the other hand getting “lost” together can be a big learning experience and a fun adventure for the whole family if you have the time and no one is melting down. So, maybe turn off Google Maps at times and get lost. Don’t worry about exactly where you are as long as you are all together. This is one of my favorite parts of family travel time! How to you navigate around foreign cities these days? Are there other apps we should know about? If you just realized that in a bit over a month your kids will be off school for a whole week [Spring Break] and you are dreaming of getting out of town with your crew, then this post is for you! 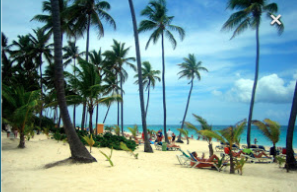 If you are considering a beach vacation or visiting family and you need to find a flight I suggest trying Google Flights – http://www.gooogle.com/flights. Google Flights is one of my favorite ways to find good flight deals. 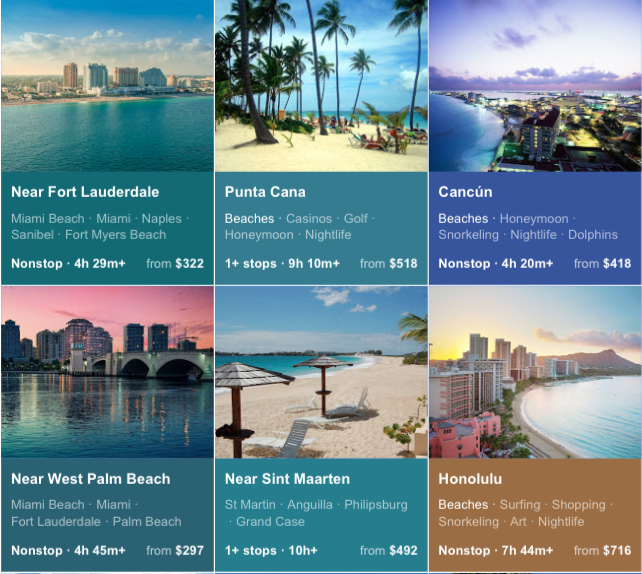 You cannot purchase flights at this site – but this powerful search engine finds you great flight options you can compare from many, many, many airlines. Then you just head over to the airline site and book your tickets out of town. Fixed Dates but Open to Many Destinations: If you do not know where you want to go enter your dates of travel and scroll down to the map feature. Click on the map feature and you can see what your cost for travel will be. This is my favorite as it gives you lots of options. You can get more specific by listing general “Places” you want to go and/or your “Interests” for travel. You can also not if you want to travel for a specific duration.